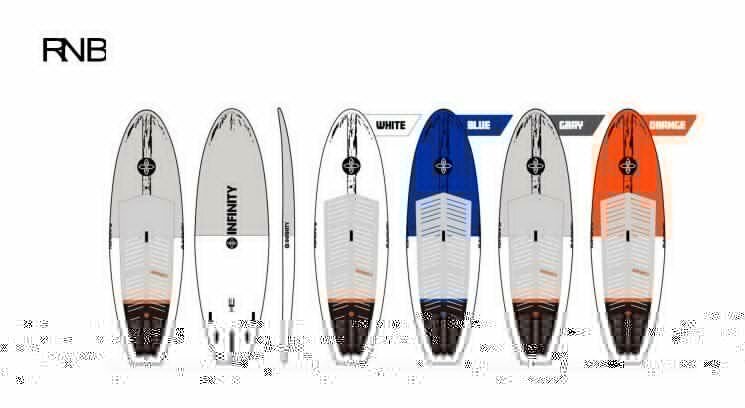 Infinity RNB – SUP, Windsurfing UK. The Infinity RNB is a surf sup board for anyone, anywhere, anytime. 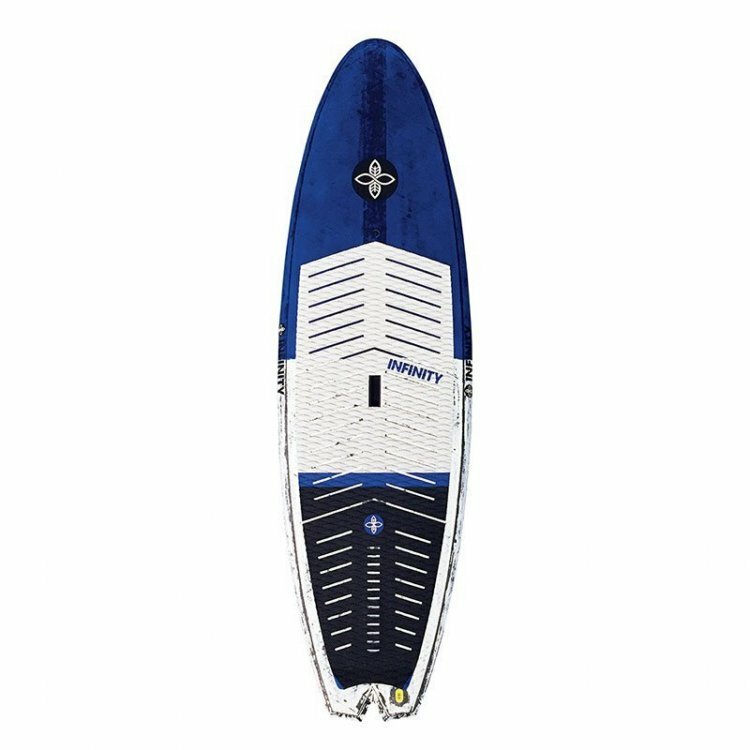 RNB or Round Nose Blurr is the most popular of the Infinity surf sups as it mixes great performance with an easy to use design. 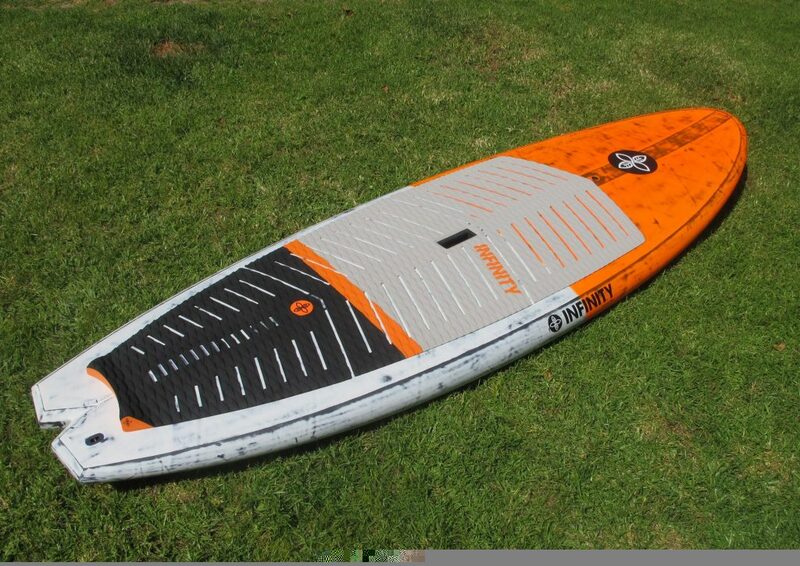 The parallel outline and wide tail gives amazing stability so the paddler is able to ride a narrower board than they might normally consider. The shape is a mix of classic surfboard and the Tomo designs that give it a really wide range of use in varying conditions. 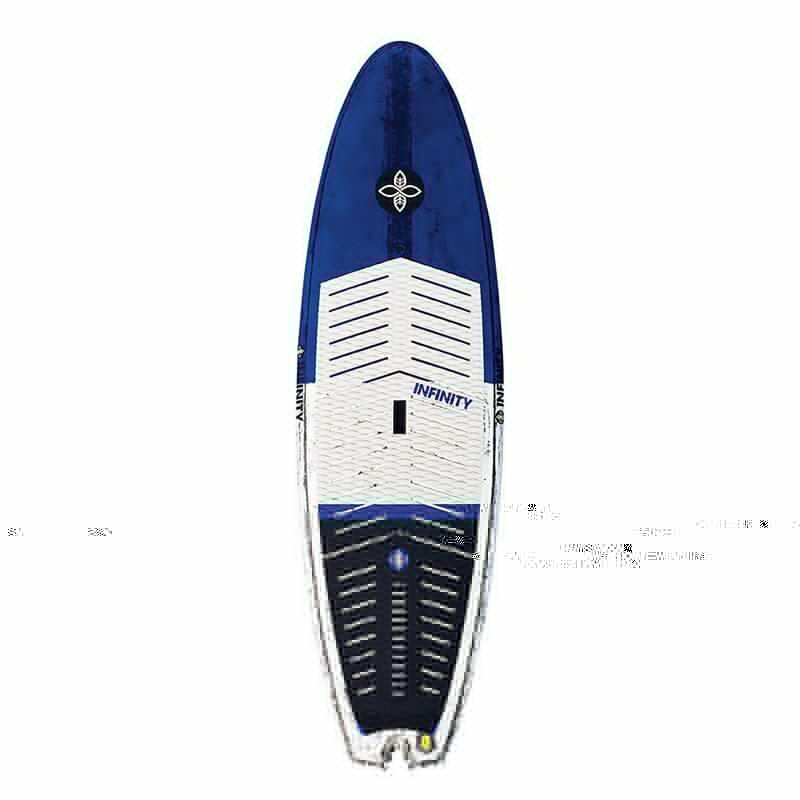 The board has a slight single concave and a deeper double between the fins that helps to channel the water and generate drive and control at speed. 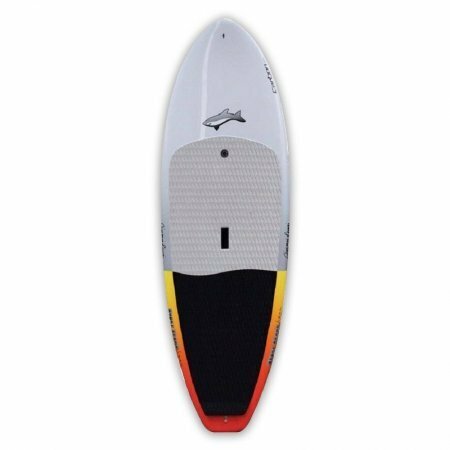 The boards versatility is further increased by its fin setup options of tri- quad or 5 fins layouts and don’t forget nubsters if you want to try something new out. Now available in supspension carbon PVC sandwich and in PVC sandwich fiberglass.